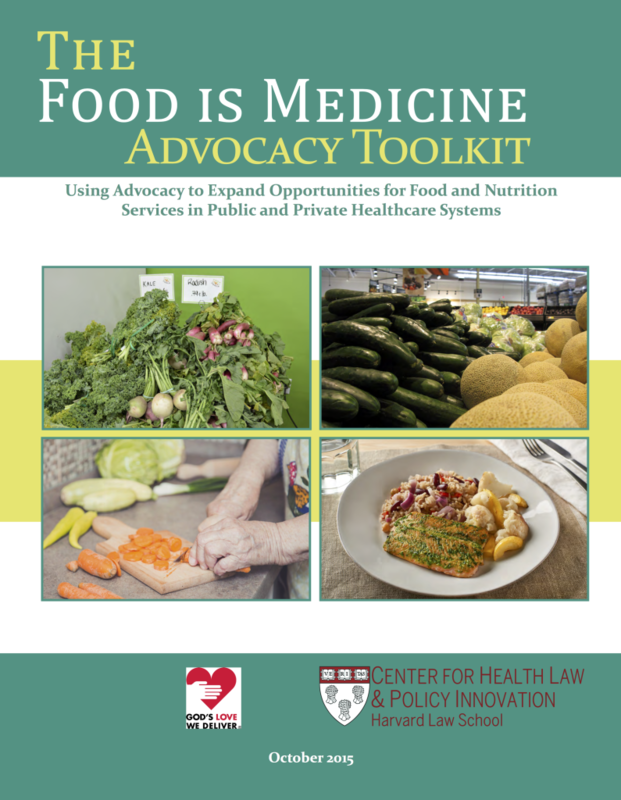 CHLPI has just released The Food is Medicine Advocacy Toolkit: Using Advocacy to Expand Opportunities for Food and Nutrition Services in Public and Private Healthcare Systems. The release is the latest in a series of publications on CHLPI’s work to integrate access to nutrition and housing services as core components of health care. Food is Medicine was released in 2014, and Food is Prevention was released earlier this year. Across the country, the evolving healthcare landscape is creating new opportunities for integration of food and nutrition services (FNS) into our healthcare systems. Specifically, recent changes have created new opportunities for FNS providers to obtain reimbursement from both public and private insurers and integrate their innovative services into a variety of healthcare delivery models. A growing body of research demonstrates that FNS are cost-effective health interventions that improve health outcomes among beneficiaries and patients with significant health needs. As a result, insurers and medical providers (such as physicians and hospitals), are recognizing the enormous potential of providing insurance coverage of FNS. The toolkit is designed to support the efforts of FNS providers by providing practical guidance on how to identify and take advantage of opportunities for acquiring new funding streams from health insurance systems and their associated delivery models and programs. Additionally, the toolkit will help providers navigate the complex world of healthcare reform, understand potential opportunities for programs, and analyze internal and external strategies toward the development of an advocacy plan. The report was written by the Center for Health Law, the Harvard Food Law and Policy Clinic, and Policy Innovation and God’s Love We Deliver (GLWD). GLWD is based in New York City and provides life-sustaining meals and nutritional counseling for people living with severe and chronic illnesses. On the national level, God’s Love leads The Food Is Medicine Coalition, a volunteer association of nonprofit food and nutrition services (FNS) providers across the country seeking to preserve and expand coverage of FNS for people with severe illness. Read The Food is Medicine Advocacy Toolkit: Using Advocacy to Expand Opportunities for Food and Nutrition Services in Public and Private Healthcare Systems online. On October 23rd, the Harvard Gazette printed “Wanted: Climate change solutions” about the Climate Change Solutions Fund, which is now open and accepting applications until November 1. Director of the Harvard Food Law and Policy Clinic (FLPC) Emily Broad Leib was interviewed about the impact of previously receiving funding from the Climate Change Solutions Fund for FLPC. …’This funding was a total game-changer for us,’ said Emily Broad Leib, assistant clinical professor of law and deputy director of the Harvard Law School Center for Health Law and Policy Innovation, who was awarded a grant to reduce food waste. Leib has been able to make time for efforts to raise awareness of the issue through media appearances and by working with her students to make a short documentary about state expiration-date policies and the need for change at the federal level. This template is designed to allow advocates, organizations, and individuals to submit easily to the Department of Health and Human Services comments on the proposed regulations to implement the anti-discrimination provisions of the Affordable Care Act. Thank you for your interest in the Center for Health Law and Policy Innovation’s S.1557 Comments Template. Please provide your name and email below and you will be given access to the template. This information is collected solely for our own internal purposes and to allow us to reach out to you to provide any support you might need as you modify the templates. We will not share, publicize or sell your information. Professor Susan Schneider, Director of the LL.M. Program in Agricultural & Food Law at the University of Arkansas School of Law joined the Harvard Food Law and Policy Clinic for the Food Law Student Leadership Summit earlier this month as a seminar presenter. Read her blog post about the summit, originally posted at www.agfoodllm.com on Sunday, October 11, 2015. 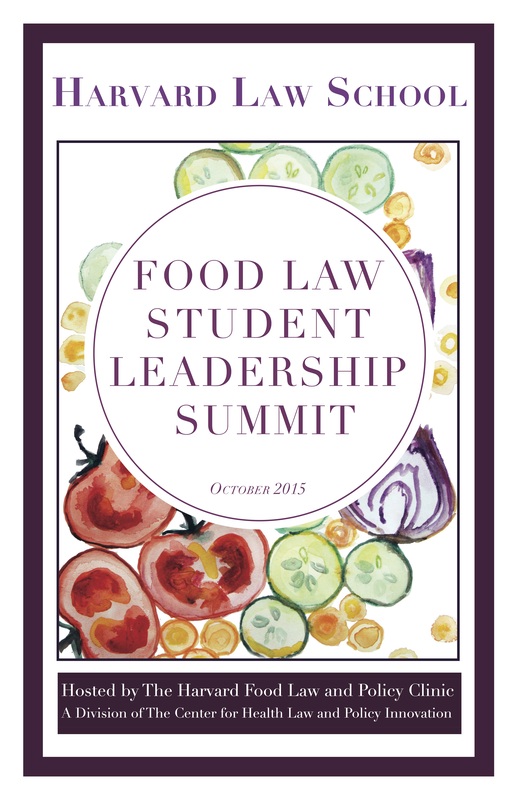 Last weekend, it was my pleasure to participate in the Food Law Student Leadership Summit at Harvard Law School. 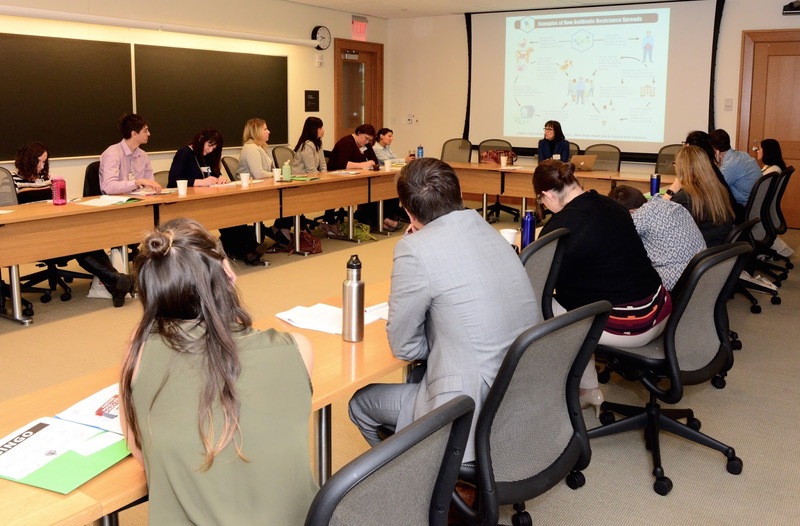 This amazing event was organized by Emily Broad Leib and her team at the Harvard Food Law & Policy Clinic. Note that this team includes our very own LL.M. candidate and soon-to-be-alumna, Christina Rice. Christina serves as a Clinical Fellow in the Harvard Food Law & Policy Clinic, and it was great to see her in her new role. 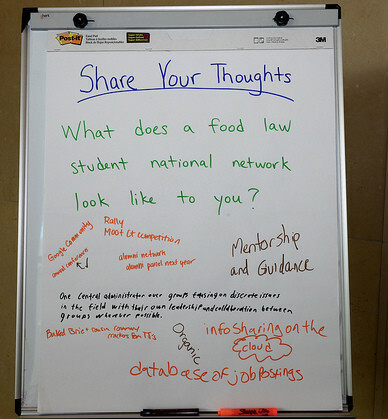 The Food Law Student Leadership Summit is the first conference to convene law students from around the country who share a passion for food law and policy. Participants will hear from national experts about key food law and policy issues related to the environment, health, food safety, and food waste; develop strategies to start or expand student food law organizations; build a national network of food law and policy colleagues; and begin to develop coordinated strategies for addressing some of society’s most pressing food law and policy concerns. The Summit exceeded even its most optimistic projections. Over 100 law students from 50 different law schools were accepted from a wide pool of applicants. Presenters included some of the most notable professors and practitioners in food law & policy today. 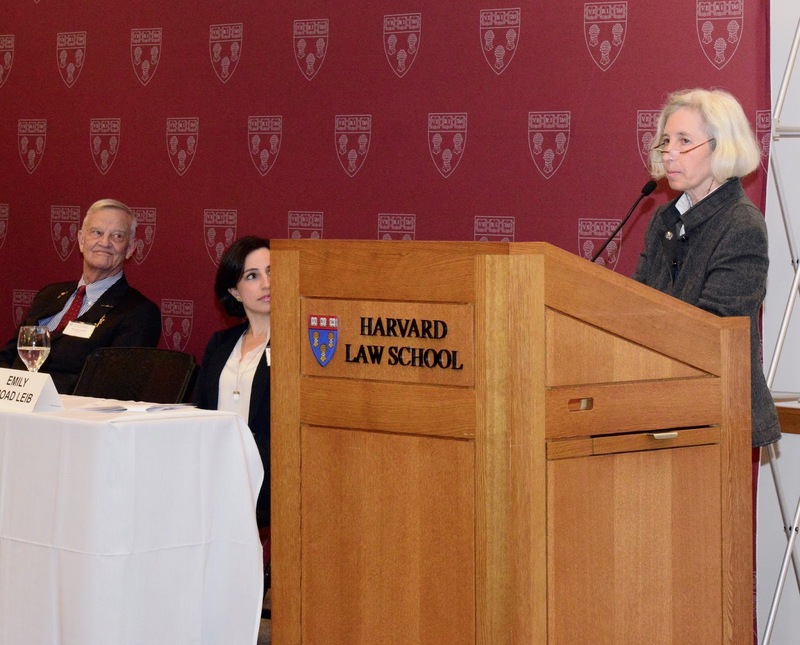 The event was kicked off with an impassioned speech from Harvard Law School Dean Margaret Minow who advocated that “food is everything” and that it works to integrate all of of the elements of the law school curriculum into a meaningful and critical study. The Summit was generously funded by the Charles M. Haar Food and Health Law and Policy Fund. The weekend event was structured with educational presentations and student problem-solving exercises. I delivered two presentations on Saturday. The first was on the Use of Pharmaceuticals in the Livestock Industry and it was based on my recent article published in the Duke Environmental Law & Policy Forum. The second was Keeping the Farmer in Food Policy, and it was co-taught with Professor Neil Hamilton. It is always a pleasure to see and to work with our condensed course professor and colleague from Drake University School of Law. In addition, I worked with the students in evaluating their problem-solving simulations, working with Christina in the classroom. I was very proud to have several of our LL.M. students selected for attendance in the Summit. Nicole Cook, Dave Nezzie, and Kelvin Stroud were at the Summit and represented us well. It was an honor to participate in this event and to present to these students – the future of food law. I do hope that we will see some of the in the next few years with us in the LL.M. Program! Visit the blog for the LL.M. Program in Agricultural & Food Law at the University of Arkansas School of Law. A new article from reporter Sony Salzman of Al Jazeera America speaks to the issue of health insurance providers’ denial of Hepatitis C medications that are highly effective but also very costly. “How Insurance Providers Deny Hepatitis C Patients Lifesaving Drugs” uses data from the Center for Health Law and Policy Innovation’s work on increasing access to HCV medications, as well as quotes from CHLPI’s Director, Robert Greenwald. Read “How Insurance Providers Deny Hepatitis C Patients Lifesaving Drugs” in full. Read CHLPI’s recent report on Hepatitis C and review of Medicaid coverage of HCV medications. 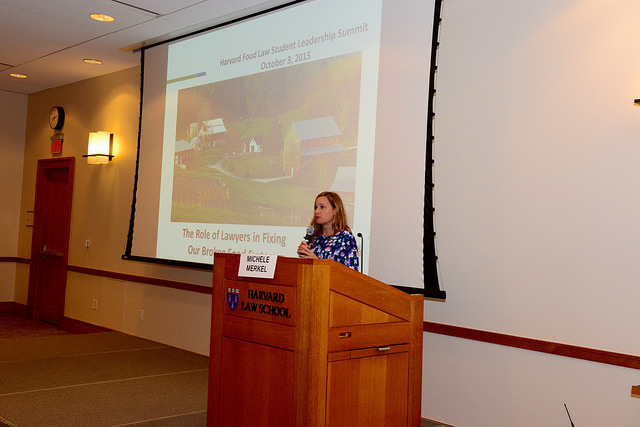 One hundred law students from 50 law schools across the country joined together at Harvard Law School this past weekend for the Food Law Student Leadership Summit—the first of its kind and, extending over three days, remarkable for its scale. The Harvard Food Law and Policy Clinic, with the help of a group of student volunteers from different law schools, carefully combed through an overwhelming number of applications in order to craft a class of 100 law students for the Summit. Each of the students in this class has demonstrated an impressive interest in, and passion for, food law and policy, as well as leadership and capacity for positive change in our food system. The Summit began Friday afternoon with tours of local food organizations, including the Daily Table, CommonWealth Kitchen, the Food Project, and Community Servings. Students then came together for a reception and dinner at the Law School, with opening remarks by several speakers including Dean Martha Minow, who eloquently expressed the importance of food policy: It is connected to every other domain of human concern and we all will always need to eat food. 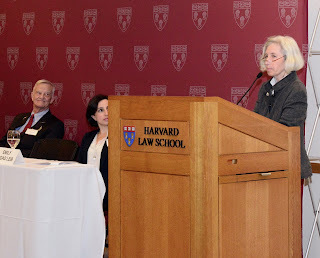 Dean Minow and Assistant Professor Emily Broad Leib also made remarks about programs and initiatives at Harvard Law that demonstrate its role as a trailblazer in the cutting edge field of food law and policy—a field that was once so small, Professor Peter Barton Hutt later commented, its members couldn’t fill a dinner table. Alexandra Jordan, President of the Harvard Food Law Society (HFLS) during the 2014–2015 academic year, and I (current HFLS President) discussed successes we’ve had developing this student organization, including our “Just Food?” Conference hosted last spring which brought together over 400 attendees and 50 speakers to discuss and debate issues of food justice. Throughout Saturday, Summit attendees were divided into four sections and learned from distinguished professors in topical seminars. For example, Harvard Clinical Professor Robert Greenwald led a seminar on food as medicine, Drake Law Professor Neil Hamilton led a seminar on the Farm Bill, and Ona Balkus, a Senior Clinical Fellow in the Food Law and Policy Clinic, led a lively seminar on the controversial USDA Dietary Guidelines. 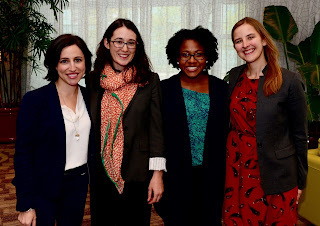 On Saturday afternoon, students learned from a panel of five accomplished food law attorneys—ranging from organizations as diverse as LAF Chicago to Center for Science in the Public interest— about their careers and advice on entering this field of law. On Sunday afternoon, another panel presentation focused on student leaders, highlighting the work of several successful student food law societies through the voices of the students who lead them. A thought echoed several times throughout the course of the conference: The most marginalized and often-minority voices are essential to the food policy dialogue, yet unfortunately they are frequently missing. In remarks I made on Friday evening, I mentioned a connection I have made with the Alianza Nacional de Campesinas and the Food Law Society’s initiative to include the voices of female farm workers in several events we will host throughout the year—a step in the right direction but a world away from complete resolution of the problem. Between the topical seminars and panel presentations, students took part in a policy simulation in which they assumed different roles—such as representatives from the American Medical Association or the Sierra Club—and considered hypothetical scenarios that mirrored actual problems facing policymakers today. The students devised and later presented policy proposals that attempted to resolve many of the tensions that animate food policy discourse: political paternalism and consumer autonomy; economic expediency and environmental protection; and corporate speech and the public interest, for example. Saturday’s keynote was delivered over another impressive, sustainably sourced meal, but it was at times difficult to eat. Michelle Merkel, co-director of the legal arm of Food and Water Watch, discussed concentrated animal feeding operations. Listeners could not help but react with disgust as they learned the facts about Concentrated Animal Feeding Operations, or “CAFOs:” Animals in CAFOs lead tortured lives confined in cramped, filthy conditions made livable only through chemicals and pharmaceuticals. The toxic waste generated by CAFOs can fill the Empire State Building daily, Ms. Merkel reported, and it adversely impacts workers and community members anywhere within its noxious proximity. Ms. Merkel clarified some of the tensions between the interests of companies that draw colossal profits from CAFOs and the public interest. For example, several companies have successfully sought to make publication of photos or videos of the conditions at CAFOs illegal, while a poultry company successfully pressured a law school to discontinue a clinic that was prevailing in litigation against the company. Ms. Merkel left attendees to ponder with a particularly prescient quote from President Grover Cleveland’s 1888 State of the Union Address: “Corporations, which should be the carefully restrained creatures of the law and the servants of the people, are fast becoming the people’s masters.” Attendees at the Summit expressed a genuine desire to shape our food system for the better, so it can justly reflect the interests of all eaters—not merely some—and of the Earth which feeds them. To stay up to date on FLPC’s work on creating a national food law student network and our other projects, follow us on Facebook and twitter.